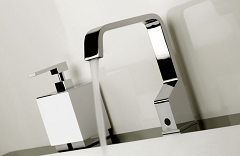 The famous Italian brand Gessi has been designing and manufacturing quality bathroom and kitchen fittings and accessories for over 20 years. 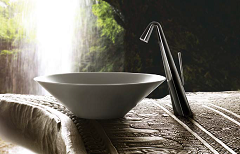 Today, the Gessi brand is acknowledged worldwide for its fashionable and versatile designs. 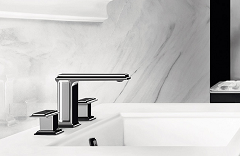 With the emphasis on innovation, originally and technology, Gessi has become the trend-setter in the industry, creating numerous stylish bath and kitchen fittings as well as bathroom accessories to allow each user to enjoy personal space with a new sense of well-being.